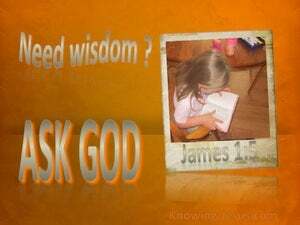 ﻿ James 1:5 But if any of you lacks wisdom, let him ask of God, who gives to all generously and without reproach, and it will be given to him. 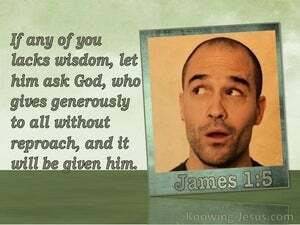 And if any of you lacks wisdom, let him ask from God who gives to all generously and not reproaching, and it will be given to him. But if any one of you lacks wisdom, he should pray to God, who gives to everyone generously and does not begrudge [the person who asks], and it will be given to him. Now, if any of you lack wisdom, let him ask of God, who gives to all liberally, and upbraids not; and it shall be given him. If any of you is deficient in prudence, let him ask it of God, who liberally gives to all without upbraiding: and he will give it. But if any of you lack wisdom, let him ask God, who gives to all cheerfully and upbraids none; and it will be given unto him. If any one of you is deficient in wisdom, let him ask God who gives generously to everyone, and does not reproach one with it afterward, and he will give it to him. If any of you want wisdom, let him ask of God, who giveth to all men liberally and upbraideth not, and it shall be given him. 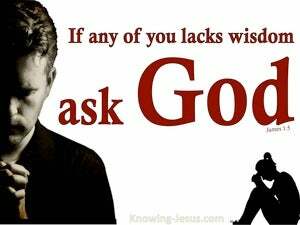 And if any of you lacks wisdom, let them ask of God (who gives abundantly to all, and without reproach), and it shall be given them. 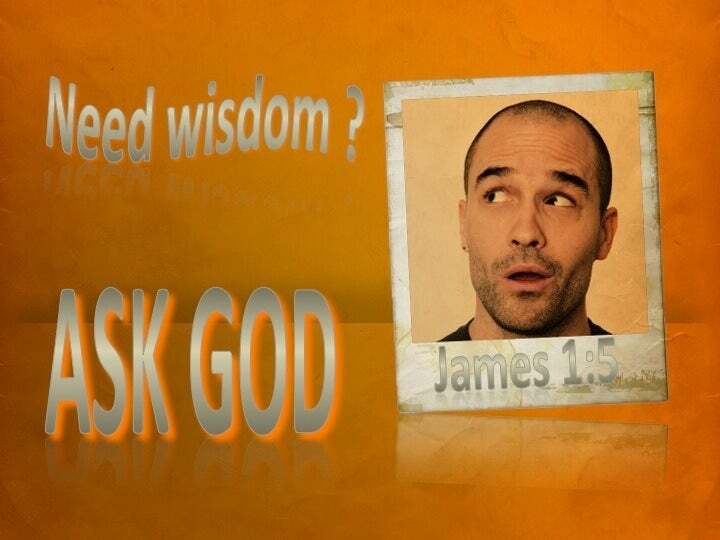 If any of you is forsaken of wisdom, let him ask of God, giving to all plainly, blaming not; and it shall be given him. If any of you lacks wisdom, let him ask of God, who gives to all men liberally, and reproaches not; and it shall be given him. 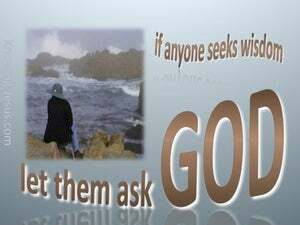 Now if any of you lacks wisdom, let him ask for [it] from God, who gives to all without reservation and not reproaching, and it will be given to him. 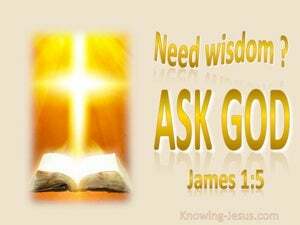 But if any of you lacks wisdom, let him ask of God, who gives to all liberally and with no reproach, and it shall be given to him. Whoever of you is defective in wisdom, let him ask God who gives to all men without question or reproach, and the gift will be his. 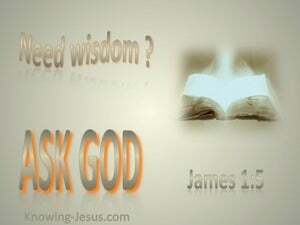 If any one of you is lacking in wisdom, let him ask it from the God who gives to all men freely and without upbraiding; and it will be given to him. But if anyone is deficient in wisdom, he should ask God, who gives to all generously and without reprimand, and it will be given to him. But if any of you lacks wisdom, let him ask of God, who gives to all liberally and without reproach; and it will be given to him. But if any one of you is wanting in wisdom, let him ask of God, who giveth to all liberally, and upbraideth not; and it will be given him. And if any one of you lacks wisdom, let him ask of God, who gives to all liberally and upbraids not, and it shall be given him. But if any man of you be deficient in wisdom, let him ask it of God, who giveth to all men liberally, and upbraideth not and it shall be given him. If one of you is deficient in wisdom, let him ask wisdom from the God who gives freely to every one without reproaches, and it will be given to him. If any of you lacketh wisdom, let him ask of God, who giveth to all men liberally, and upbraideth not; and it shall be given to him. And if any one of you is deficient in wisdom, let him ask God for it, who gives with open hand to all men, and without upbraiding; and it will be given him. But if any one of you is deficient in wisdom, let him ask God who generously gives to everyone and never reproaches one with its lack, and it will be given to him. And if any of you lack wisdom, let him ask it of God, who giveth to all men liberally and upbraideth not, and it shall be given him. 4 And let endurance have its perfect result, so that you may be perfect and complete, lacking in nothing. 5 But if any of you lacks wisdom, let him ask of God, who gives to all generously and without reproach, and it will be given to him. 6 But he must ask in faith without any doubting, for the one who doubts is like the surf of the sea, driven and tossed by the wind.